Unfortunate situation for the Work Foundation. However, things do seem to have turned out reaonably well according to the Guardian. 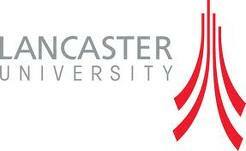 The Work Foundation, which bills itself as “the leading independent authority on work and its future”, announced today that it had been acquired by Lancaster University. The move came after a winding up petition, citing a £26.9m pension deficit, was filed at the high court yesterday. The university claims the purchase minimises losses to creditors, including pension fund members, and safeguards 43 jobs, including that of the foundation’s executive vice-chair, Will Hutton. Hutton is a former editor of the Observer, a member of the Scott Trust, which owns the Guardian, and an adviser to the government on public sector pay. The foundation, which aims to equip “leaders, policymakers and opinion-formers with evidence, advice, new thinking and networks”, will remain at its Westminster base as a separate entity. The alliance…would help the foundation consolidate its reputation for analysis and its ability to advise policymakers. However, it is probably a good thing that the Work Foundation will continue in existence. I really didn’t realise it was as big as that (although clearly a lot smaller than it used to be). It also will be interesting to see the impact on Lancaster’s REF submission. And what they do with the pension deficit.